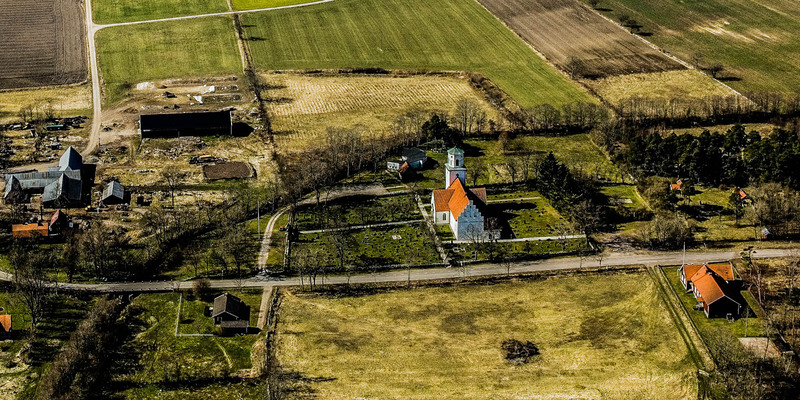 The best preserved medieval church on Öland is the 12th-century Gärdslösa Kyrka. 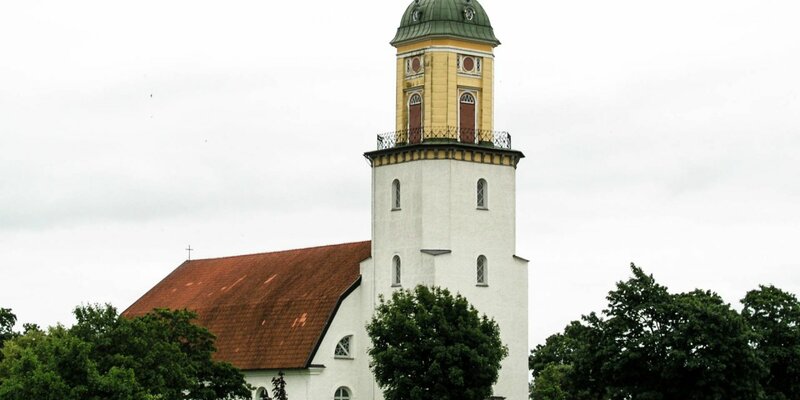 It is located in the east half of the island in the small village Gärdslösa, about 15 kilometers southeast of Borgholm. 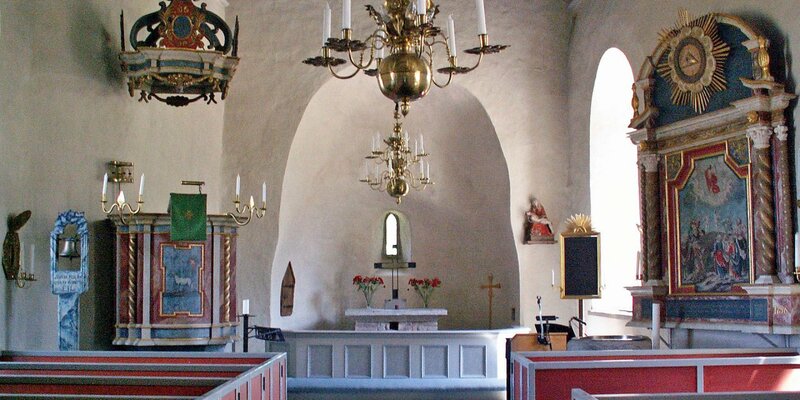 The relatively large church, compared to the other historical churches on the island, was in the past something like the ecclesiastical center of Öland. 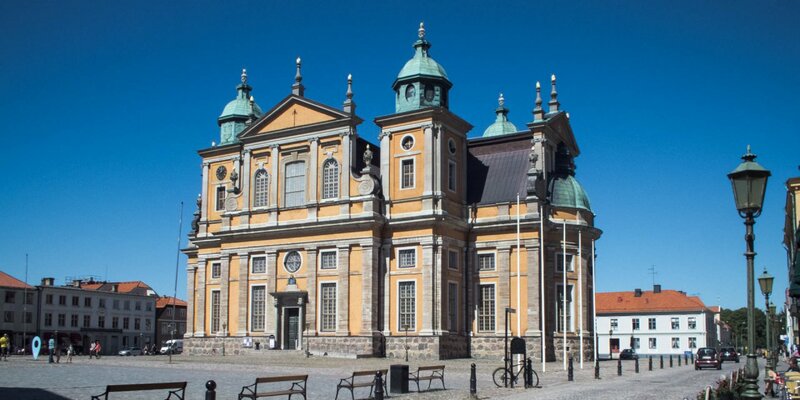 During the summer months, the Gärdslösa Kyrka is a popular tourist destination and in Sweden known as the wedding church of Princess Margaretha, the sister of King Carl Gustav. When the church was consecrated in 1138, it initially consisted of the main nave with an apse. The tower came a little later, towards the end of the 12th century, and was increased by a defensive floor around 1200. The two transpets with cross vaults and magnificent entrance portals were added in the 13th century. About 1270, te old apse was demolished and replaced by the straight choir with the representative stepped gable. The oldest sacral objects in the church are the triumphal cross built around 1300 and a Madonna statue from northern Germany, created in the 15th century. The ornate pulpit was built in 1666, the stone baptismal font dates from 1670 and the votive ship, a model of the Nyckelen, from 1682. The altar room is dominated by a quite large altarpiece with the motif "Jesus in the garden Getsemani". It was created between 1764 and 1766 by the sculptor Jonas Berggren, who was inspired by the altarpiece of the Kalmar Cathedral.